Jitendra Joshi has been working with Indian sports at grass roots level for 14 years now. The founder and director of Sportzconsult, Joshi has created a white paper based on his experience for all these 14 years. 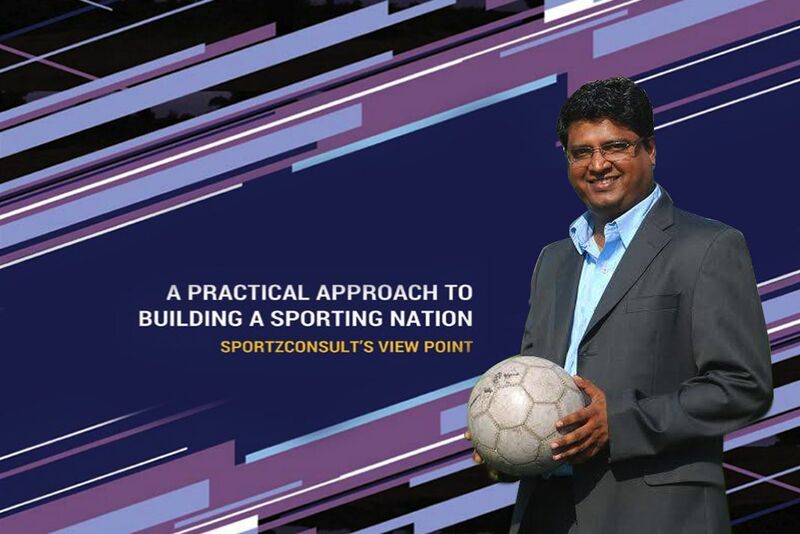 The document – titled A PRACTICAL APPROACH TO BUILDING A SPORTING NATION – deals with ground level scenario in India sports while also suggesting the way forward. Joshi in an exclusive chat with InsideSport.co shared his experiences and viewpoint on the current scenario and future prospects for sports in the country. InsideSport: Share with us the thought behind creating a report on sport marketing? Jitendra Joshi: This report is a cumulative effort of 14 years of experience that I have attained by being into sports. This is the culmination of all that I have witnessed, experienced and worked for in these 14 years. I myself being a sportsperson, started out by building ‘Sports Village’- A business model for creating spaces for kids to play. However, the model was unsustainable and collapsed as soon as the real estate market started growing at a rapid pace. Then, I tried multiple models and started exploring the grassroots development process that needs to be done. Got in touch with brands like Coca-cola and NBA, made intellectual properties and leagues. And this is what my report is all about. IS: Your report boasts of providing opportunities to play to more than 3 million people. How? Joshi: Yeah, that is just the number. We have our own programs in association with various corporates. Junior NBA is one, which has around 3000 school programs and then for football we have around 2500 schools in tie-up with Reliance. And many others such program for kids to play. All this makes around 2.5 million kids every year. IS: Can you take us through the highs and lows of your 14 year journey? Joshi: 10 to 15 years back, sport wasn’t as big as it is today. If somebody asked about my full-time job, I hardly had any words to describe it. But now the scenario has changed. Similarly, during the inception of my journey, I just did summer camps and training sessions on smaller levels. Competitive sport as a business needs physical space. So we would higher grounds for activities. A sudden boost in real state escalated space costs four to five times. My business model collapsed. Then we switched to bigger brands and leagues. Corporate started taking interest. That was when my thought of grassroots development got a boost. And I feel, there is still a lot to be done. IS: What according to you ales Indian sports? Joshi: Infrastructure is one of the biggest problem. There is a lot that can be done on resolving this issue. Then there are hurdles one has to face while creating his own IP. One has to please everybody to create something new. Infra at grassroots level, better support for new IPs something like start-ups is needed to give a boost to sporting culture in India. IS: Our system produces more fans than stars. Do you see a rational balance somewhere? Joshi: Yes, there is a need to create sportstars. We have very few sporting heroes. As lot more action happens at grassroots level, things shall change. That happened in the game of cricket. But if we see clearly, it took many years for cricket to reach this level. Unless that happens in other sports as well, one cannot expect things to get better. Packaging and marketing of sport will play a major role. IS: Is sports infrastructure improving as required? Do deserving athletes get right access? Joshi: There are good facilities available for athletes now. But there is a need to have lot more grounds and facilities. It should be made more feasible for local athletes. Unless amateurs start getting better facilities, I don’t think we can encourage them to carry on to be competent professionals. IS: We talk of role models in sports, but outside cricket, and may be in badminton to some extent, there appears a big void between the bests and second-bests. What do you think? Joshi: Currently, the system is not able to generate stars. We don’t get to see another Sania Mirza, so often. But with right facilities, training, coaches and at right time; this point of view might get change. The stars we see reach that status with individual efforts, when system will start harvesting talent this scenario will change. You quoted badminton, there too system is confined to one individual and one place – the icons are emerging from the same stable. Elsewhere there is a huge gap. IS: We have developed so many professional leagues but do you see same professional level tickling down to the elementary level? Joshi: The IP holders are spending significantly and are trying to create a model. But it will only sustain itself when fans support the eco-system. The focus then has to be on the grassroots level. Kabaddi will become unsustainable if grassroots work is not done. No talent will mean no participation and no engagement. The new commercial approach in entrepreneur driven leagues is now helping but much more needs to be done. IS: You have suggested a road-map. How much acceptance do you see for it in the prevailing system? Joshi: I feel a part of it is already happening. For example, Western India Football Association(WIFA) is developing their coaches. So, I can say some action is seen happening along the road-map. But I wish a lot more will be done.